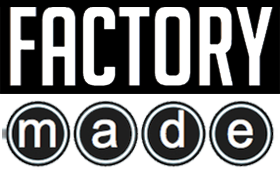 You can register by phone at 303-927-0802 or in person at FactoryMade. We are located at 2000 21st Street in Boulder, Colorado 80302 (on the NE corner of 21st and Pearl). Your space is guaranteed only upon payment in full. Class sizes are limited in most cases, so register early because they will fill quickly. Do you have classes for both kids and grownups? Most classes are open to 7 years old and up — our general sewing classes are open to 12 years and up, and we also offer kid-friendly sewing classes that will be noted accordingly! Cancellations made up to 7 days prior to the first class meeting will be refunded. The Factory will retain a $5 processing fee for each class cancelled by a participant. Within 7 days prior to the class, there is no refund or credit. This policy is to ensure that teachers are compensated for their investment in materials and in time spent preparing for the class. Do you still hold the class if there are not many signed up? We reserve the right to cancel a class if fewer than 3 students enroll 24 hours prior to the scheduled class time. If the Factory cancels a class, students will be contacted at the phone number or email on file and given the opportunity to transfer their fee payment to another class, apply it as store credit, or receive a full refund of the class fee.